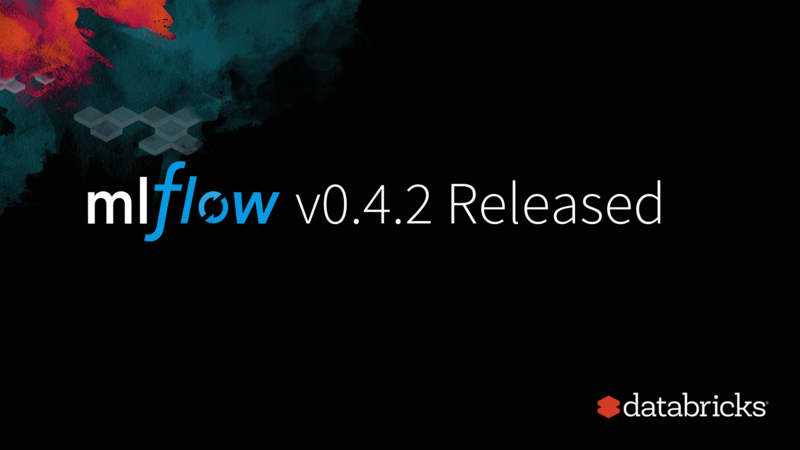 Today, we’re excited to announce MLflow v0.4.0, MLflow v0.4.1, and v0.4.2 which we released within the last week with some of the recently requested features. 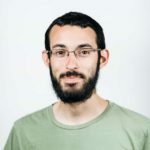 MLflow 0.4.2 is already available on PyPI and docs are updated. If you do pip install mlflow as described in the MLflow quickstart guide, you will get the recent release. In this post, we’ll describe the new features and fixes in this release. As part of MLflow 0.4.0, we’ve added support for storing artifacts in Azure Blob Storage, through the --default-artifact-root parameter to the mlflow server command. This makes it easy to run MLflow training jobs on multiple Azure cloud VMs and track results across them. The following example shows how to launch the tracking server with an Azure Blob Storage artifact store. You will need to set the AZURE_STORAGE_CONNECTION_STRING environment variable as noted in MLflow Tracking > Azure Blob Storage. We’ve added some samples that include advanced tracking, including a PyTorch TensorBoard Sample with the following MLflow UI and TensorBoard output. Thanks to PR 170, MLflow now includes support for H2O model export and serving; check out the h2o_example.ipynb Jupyter notebook. The full list of changes and contributions from the community can be found in the 0.4.2 Changelog. We welcome more input on mlflow-users@googlegroups.com or by filing issues or submitting patches on GitHub. For real-time questions about MLflow, we’ve also recently created a Slack channel for MLflow as well as you can follow @MLflowOrg on Twitter. 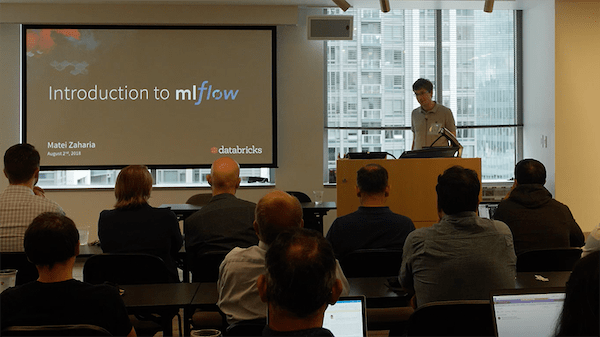 Watch Introduction to MLflow with Matei Zaharia from the Seattle Spark+AI Meetup on August 2, 2018; thanks to Scott Klein for the recording.